Recently we have been receiving a lot of feedback from our French speaking clients. 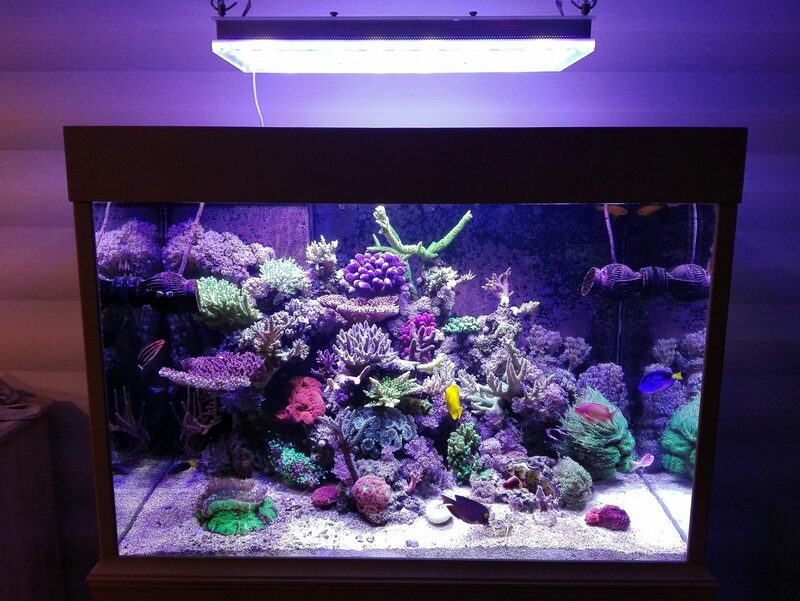 Today we are happy to share with you a picture taken by our Belgium client Loïc who was kind enough to provide not only the photo, but send us all the details of his tank. Return pump: Aqua Medic Eco Runner 3700. Tank was set in July 2015 using the 14 start up plan by ZEOvit. Since then it has been running full ZEO. Merci Loïc and we hope you will keep us posted with the development of your corals. Email us to contact@orphek.com and we will help get you started! You can also reach us by filling our form. By the way, we all want to see your tank displayed here in our website!